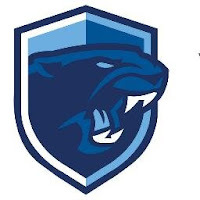 HockomockSports.com Staff has published their 2019 HOCKOMOCK LEAGUE BOYS LACROSSE PREVIEW. We share the FHS portion here. The link to the full league preview is located below. "Franklin has had a lot of success in recent years, and that trend looks like it will continue in 2019. The Franklin midfield will consist of Nitin Chaudhury – one of the hardest working athletes in any sport – along with Owen Palmieri and Ben Kolb, who has really impressed in scrimmages during the preseason. Franklin’s attack could be among the most dangerous in the league this year with three legitimate options. Jake Davis (32 goals, 23 assists), Matt Lazzaro (30 points), and Ben Greco are all unselfish but can also finish."